Our Classic iPhone 6 / iPhone 6S leather flip cases use only premium Italian leather and luxury soft suedette lining to stylishly protect your iPhone 6 / iPhone 6S. Our iPhone 6 / iPhone 6S Leather Flip cases have got a super-slim PC shell inside, to precisely fit your phone, and allow for maximum screen visibility and full access to typing or swipe notifications. It also means the case feels very thin to hold and doesn't add bulk to your slim iPhone 6 / iPhone 6S. The magnetic leather tab keeps your iPhone 6 / iPhone 6S firmly closed, and holds the front cover closed, with or without a credit card inside. Our curved interior card slot is a new edition to our iPhone cases and is perfect for a credit or travel card. The design of the card slot allows full security of the card while you're on the phone or in transit. 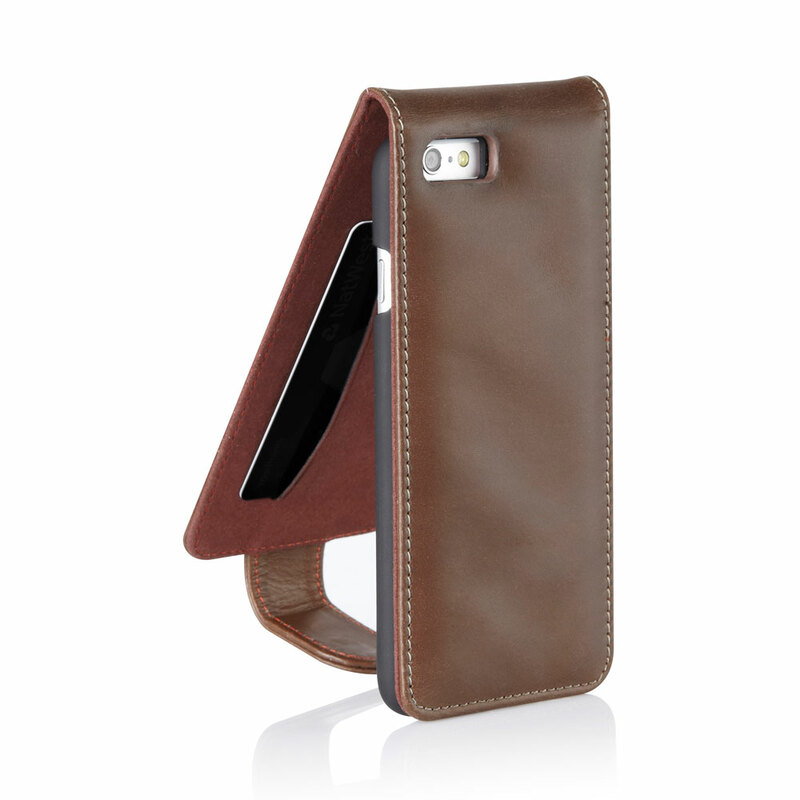 This case is the ultimate in a luxury leather iPhone 6 / iPhone 6S Cases and feels fantastic to hold and use.